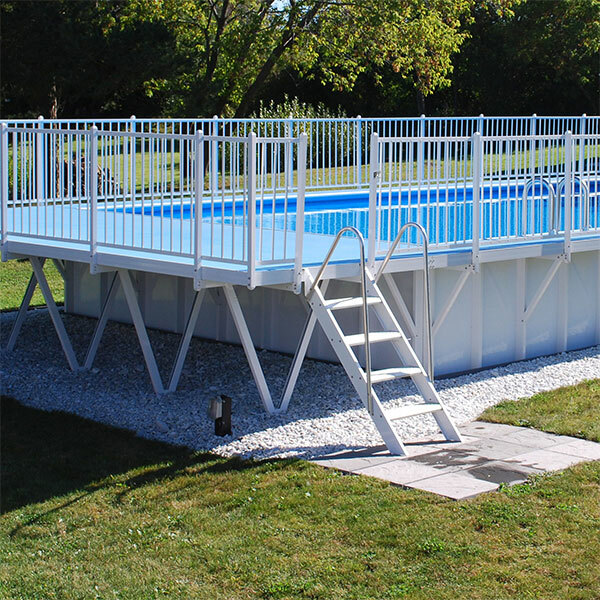 All Kayak Above Ground Pools are installed with a number of standard safety features including a sturdy full-surround fence, a skid-resistant deck, and a pivoting ladder designed to lock in an upright position. Better yet, Kayak Decks & Fences are also covered by our 30-year warranty to keep your family safe for decades to come. Kayak pool decks are roomy and maintenance free. Coated with a slip-resistant paint, your pool deck will be safe, wet or dry, for years to come. Designed to last, Kayak above ground pool decks are made from high-quality aluminum – they won’t rust, fade, or deteriorate like traditional wood decks. Kayak decks come in all shapes and sizes – with numerous configurations to choose from, you can fit a Kayak Pool in just about any backyard. 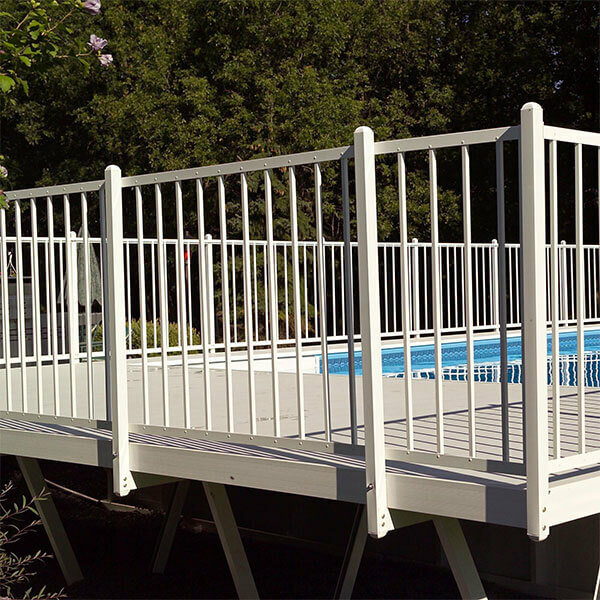 Regardless of deck configuration, Kayak above ground pools are installed with a sturdy, wrap around fence. Made from the same high-quality aluminum as Kayak decks, your fence will not rust, rot, or deteriorate. 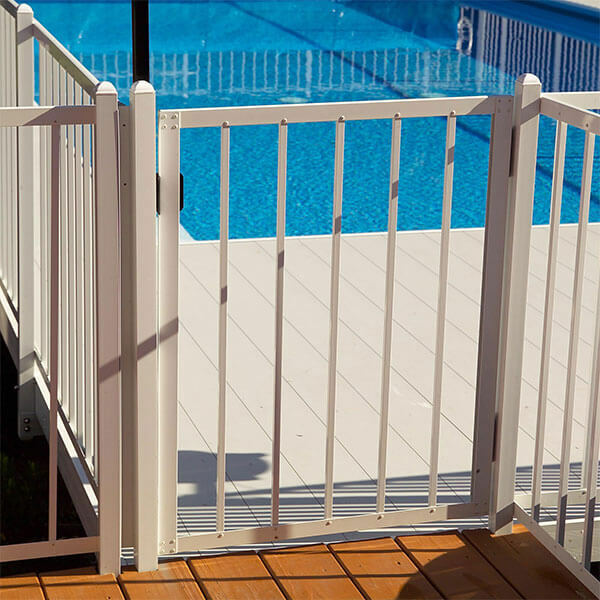 With three foot railings and closely spaced pickets, Kayak fences are designed to keep loved ones and pets safe and secure on the elevated deck. Strong yet lightweight, the outside aluminum ladder swings away easily when not in use – making pool access by children difficult, if not impossible. Kayak ladders also feature a locking device to protect your pool when you’re away. Kayak offers several in-pool ladder options including traditional 3-step ladders or easy-step corner ladders.